We believe every student should have access to tasty, nutritious and affordable school meals enjoyed in a pleasant environment. Chicago is well-positioned to build on recent progress toward this vision. Today’s students likely will eat more than 4,000 school meals by the time they graduate from high school. With each meal comes the opportunity to support schools’ core mission of education: studies consistently document a powerful connection between health and academic achievement. A vast body of research shows that improved nutrition in schools can lead to increased focus and attention, improved test scores and better classroom behavior. Very simply, healthy, well-nourished students are more likely to attend school and to be engaged and ready to learn. Nutritious and appealing school meals can also guide students toward a lifelong relationship with healthy food. The federal school food program began nearly 70 years ago out of concern that so many children were underweight and malnourished. The crisis facing us today is both the same and different: Now, many children are both overweight and malnourished. This crisis is especially stark in low-income communities of color where students face higher rates of hunger, obesity and other health disparities. These communities are particularly affected by patterns of disinvestment and a lack of access to healthy foods; the resulting disparities are perpetuated by economic, health and social justice issues. Ninety percent of CPS students come from low-income families and qualify for federally subsidized meals. Many of these students rely on schools for most of their meals. At the same time, more than 40 percent of Chicago students are overweight or obese. In this context, it is especially critical that the meals students receive at school are healthy and help build habits that support students’ long-term health and academic potential. School environments—including school meal programs—play an essential role in addressing health disparities and in taking on today’s crisis of childhood obesity and malnutrition. The Chicago Public Schools (CPS) school meal program is the third largest K-12 food service operation in the nation, annually serving 75 million meals to over 380,000 students through its 665 food campuses. Through its meal program, CPS offers breakfast, lunch, after school snacks, after school supper and Saturday meals to all students during the school year. CPS also serves breakfast and lunch to students during the summer months. Over the last decade, CPS has taken significant steps to become a national leader in providing healthy school meals through the implementation of high nutrition standards, more scratch cooking, and other policies that regulate the sale and marketing of junk food to students. 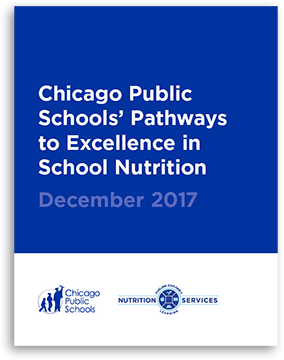 In 2018, CPS released an updated Pathways to Excellence in School Nutrition with support from Healthy Schools Campaign and the School Food Advisory Group. 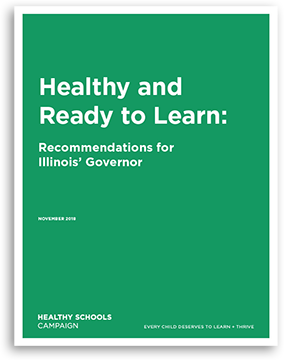 This plan documents and make publicly accessible the district’s high school meal nutrition standards and health promoting initiatives and outline an action plan to provide healthy school food to all CPS students. The plan identifies 11 interconnected pathways to achieving its vision for healthy school food and provide a map for action. 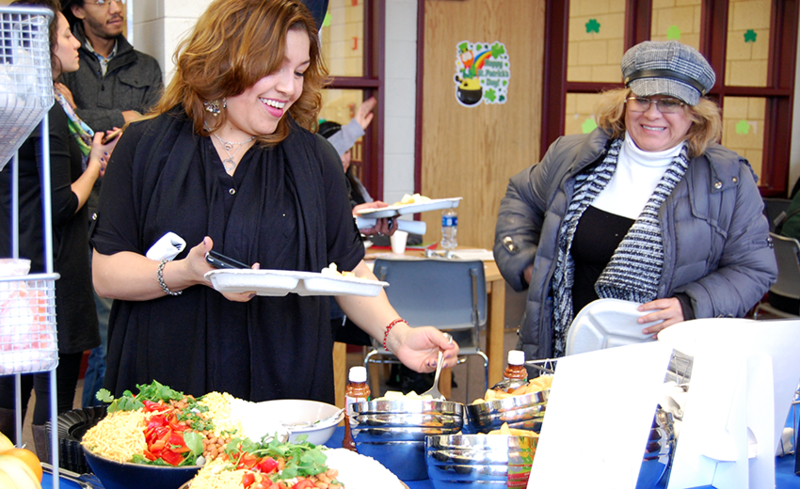 Offer culturally diverse, nutritious school meals that are appealing to students. Support and expand the procurement of local and sustainably grown products and foods that are less processed and more nutritious. Deepen students’ knowledge, skills and attitudes related to where food comes from; how it is produced; and the connections between our food, our health and the environment. Involve CPS families and the community in the efforts to improve school meals by strengthening feedback mechanisms and providing engagement opportunities, including educational opportunities to raise awareness, understanding and support for the school meal program. Continue being a national leader in serving healthy, delicious meals while igniting change by sharing best practices and using creativity to overcome barriers; use the purchasing power and prestige of being the third largest district to influence the marketplace to provide better quality products that are fiscally responsible. Promote healthy meal programs and meaningful learning environments to school staff, students and their families. Create an inviting dining environment that encourages positive social interaction and healthy eating—a place that students enjoy, that makes meals a time they look forward to, and that helps them feel safe and valued at mealtime. Provide regular professional development to support food service staff in providing excellent food for our students; help educators teach students about food and food systems as a way to learn about health and nutrition, cultural diversity, and the environment; support all school staff to model healthy behaviors to encourage healthy habits among students. Have dining facilities that allow for the cooking of healthy and less processed meals and reinforces lessons learned in the classroom. Ensure that the school meal program is fiscally sound while providing fresh, nutritious foods. Support sustainable food systems and reduce waste while helping students understand the need to conserve natural resources. Implement green facility cleaning practices to reduce health risks for students and staff, and reduce the environmental impact of cleaning products and materials. For details on the current status and plans, refer to the full Pathways to Excellence in School Nutrition report. School food in Chicago is shaped directly by federal school food policy and our nation’s food systems. Learn more about the issues, opportunities and challenges that shape school food on a national level in our School Food Policy section. We have a long history of working with CPS to help shape the district’s school meal program. From our annual Cooking up Change healthy cooking contest to our advocacy efforts with local parents, we work for change that is meaningful, sustainable, and in the best interests of the students whose health and learning it directly affects. We also consider this experience as it relates to national school food policy. Our approach to transforming school food in Chicago is based on an effective and time-tested model of working with key stakeholders to engage, advocate and build. Through our Cooking up Change program, we engage students in creating healthy and delicious school meals that meet the district’s standards, and in sharing their vision for school food with local and national decision-makers. Through our Parents United for Healthy Schools program, we engage parents in developing the knowledge and skills to help bring about health-promoting changes at their children’s schools and reinforce healthy eating habits at home. 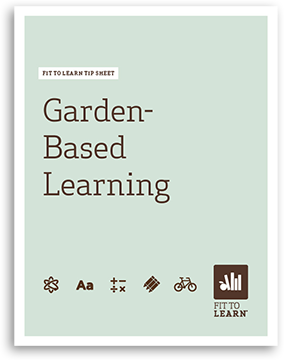 Through our Fit to Learn program, we connect teachers and principals with research about the connection between health and academic success, and with effective strategies for creating a whole-school culture of health. Parent leaders in our Parents United program spoke at Chicago Board of Education meetings in support of strong nutrition standards for school meals, which CPS has since adopted and put into practice. Parent leaders gathered more than 6,000 petitions in support of Breakfast in the Classroom and presented these petitions to the Chicago Board of Education. We galvanized partner organizations and community members to speak up in support of the 2012 update to the district’s Wellness Policy, which improved the school food environment with guidelines for school meals and for snacks and beverages available throughout the school. We worked with CPS to co-convene two school food advisory groups—one of parents and one of citywide stakeholders—to develop a comprehensive plan to achieve excellence in the school meal program based on the meaningful input from these two groups. When CPS began piloting a Breakfast in the Classroom program, we worked with Parents United to engage parents and principals in piloting the program in their schools. Based on the success of this pilot, CPS expanded the program to grade schools across the city. 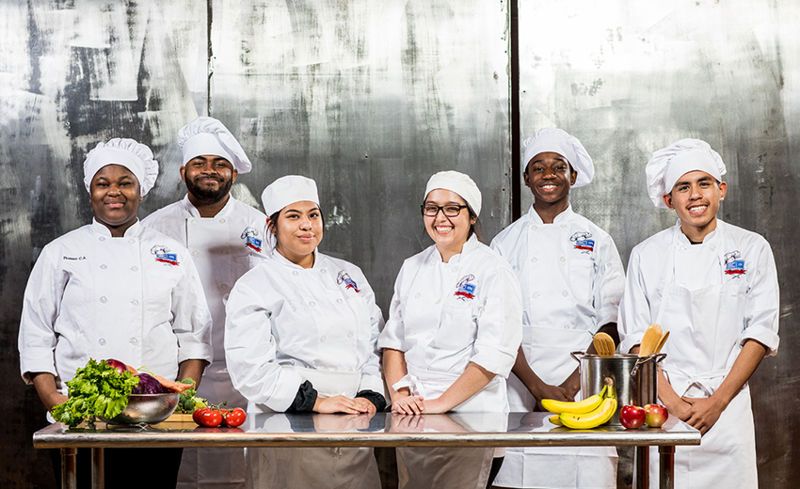 Through our Cooking up Change program, high school culinary students each year develop a set of recipes that both meet the district’s nutrition standards and appeal to their peers. Cooking up Change meals have been served across the entire district and some have been adopted as part of the regular CPS menu. If you are the parent of a CPS student, see the Parent Checklist: What You Can Do to Improve Your School’s Food document for a detailed overview of steps you can take. 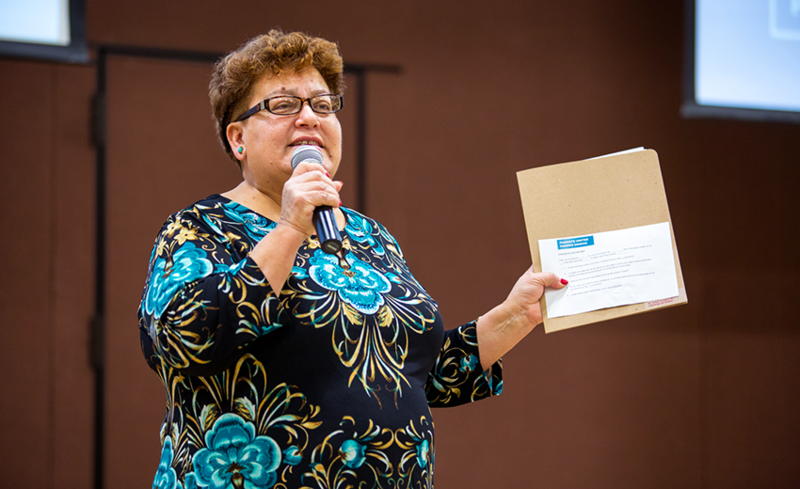 In addition, we encourage you to join or create a wellness team at your school (keep reading for more), learn about tools to help create healthy change in your school, stay informed with HSC’s Chicago newsletter and connect with other parents through our Parents United for Healthy Schools program. We invite and encourage every one to learn more about and support our Cooking up Change, Space to Grow and Green Clean Schools programs, or learn more about national policies that impact all students. Recruit team members. Begin by reaching out to the school principal, parents, teachers, the school nurse, facilities managers, school nutrition and food service leaders, and students. Also, consider community members who may bring a particular skill or interest to promoting school health. Give high-fives. Celebrate your progress! To keep your team engaged and motivated, it can’t be all work and no play. Take time to recognize the steps you take successfully and the people working hard to make it happen. The purpose of this policy is to establish nutrition standards, requirements and recommendations for foods and beverages sold, provided or served to students at school that compete with food provided under the National School Lunch Program (NSLP), National School Breakfast Program (NSBP), Seamless Summer Option (SSO) and the Child and Adult Care Food Program (CACFP). This policy seeks to create a school environment that supports student nutrition and healthy food choices by providing nutrition standards for food and beverages sold as competitive foods in vending machines, school stores, food vendors on school grounds, a la carte items, or as part of a school fundraiser, celebration or reward. The nutrition standards set forth in this policy are consistent with the USDA’s gold standard for competitive foods. Esta lista de verificación incluye elementos que CPS se ha comprometido a incluir así como ideas y estrategias para ayudar a crear un ambiente escolar que apoye al programa de alimentación escolar y los esfuerzos de los estudiantes por comer sanamente. This checklist includes items that CPS is committed to implementing as well as ideas and strategies to help create a school environment that is supportive of the school meal program and students’ efforts to eat healthy. Because principals and schools play such an important role in providing students with healthy food and educating them on healthy behaviors, we created this toolkit in partnership with Chicago Public Schools to give you a guide to making sure the school meal program is working as best as it can for your students. This document will address frequently asked questions about the school meal program from parents just like you. Want to know how CPS is reducing processed food? Want to know how you can get involved? You've come to the right place. Este documento abordará las preguntas más frecuentes sobre el programa de alimentación escolar de los padres como usted. ¿Quiere saber cómo CPS está reduciendo los alimentos procesados? ¿Quiere saber cómo puede participar? Usted ha venido al lugar correcto. Improving the nutritional quality of school meal programs is complex and dependent on many factors. The School Food Advisory Groups identified these 10 interconnected pathways that relate to the strategic goals of CPS Nutrition Support Services, as well as action plans that provide a roadmap of how to continue efforts to provide healthy school food in a fiscally responsible way. The purpose of this policy is to establish requirements for nutrition education, physical activity and the provision of healthy food choices at school and to ensure the Board’s expectations for student health and wellness are articulated and satisfied. Availability of chips, candy and sugary drinks during the school day can affect concentration in the classroom and decrease student consumption of healthful foods such as fruits and vegetables. Calories from snacks and beverages purchased from vending machines, à la carte or school stores often replace nutrient-dense meals available to students in the school dining center and provided by parents and guardians. It is important that vending machines are appropriately placed within the school building and that food and drinks sold through these venues meet the Healthy Snack and Beverage Policy nutrition requirements.